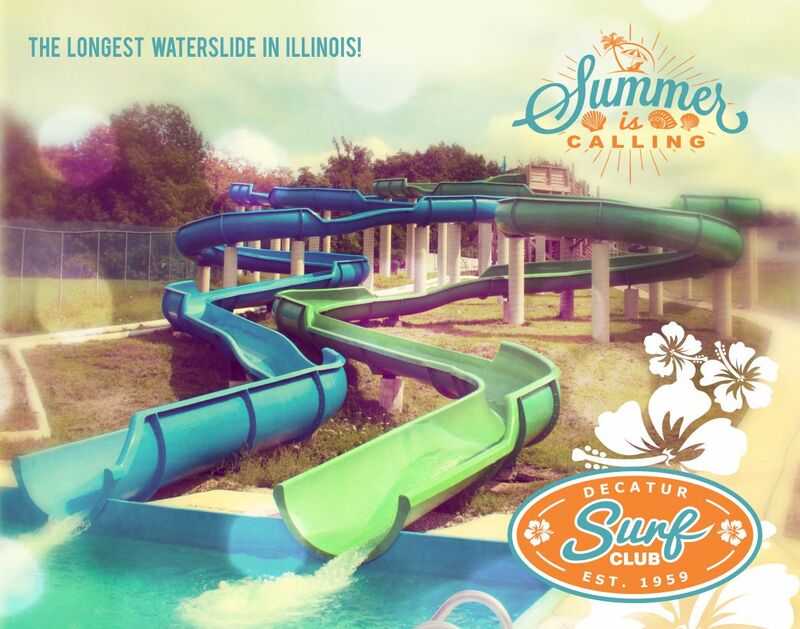 The Decatur Surf Club has been a place for summer fun and family memories since 1959. Recently, they introduced two huge waterslides, including what is now the longest waterslide in Illinois. Seeking to capitalize on this great new membership perk and get their brand back out there to generate some buzz, Goss Advertising was asked to revitalize their marketing efforts. We started by creating a new logo and postcard/handout with a new theme and look. This simple postcard design allowed us to encapsulate a complete branding concept that we grew into a new website and integrated social media.